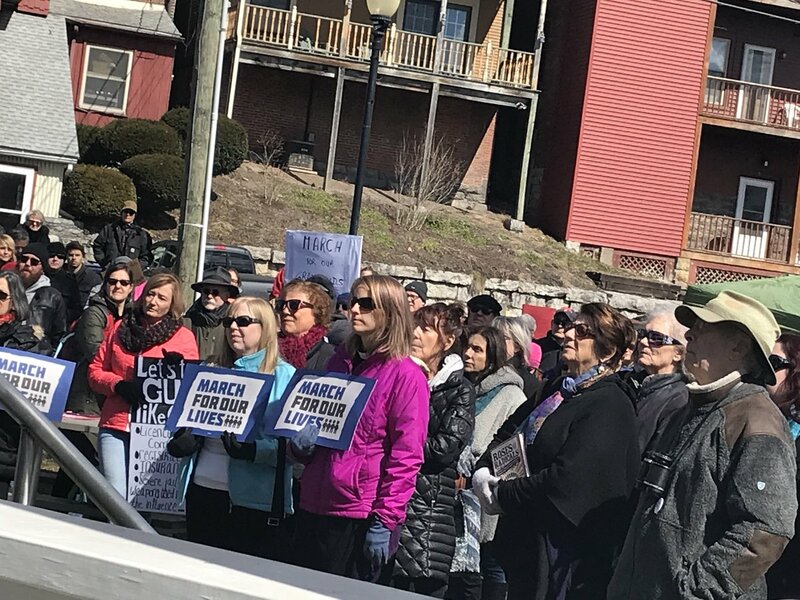 For the estimated 200 individuals who turned out to People’s Park in Seneca Falls on Saturday change was the singular goal in mind. 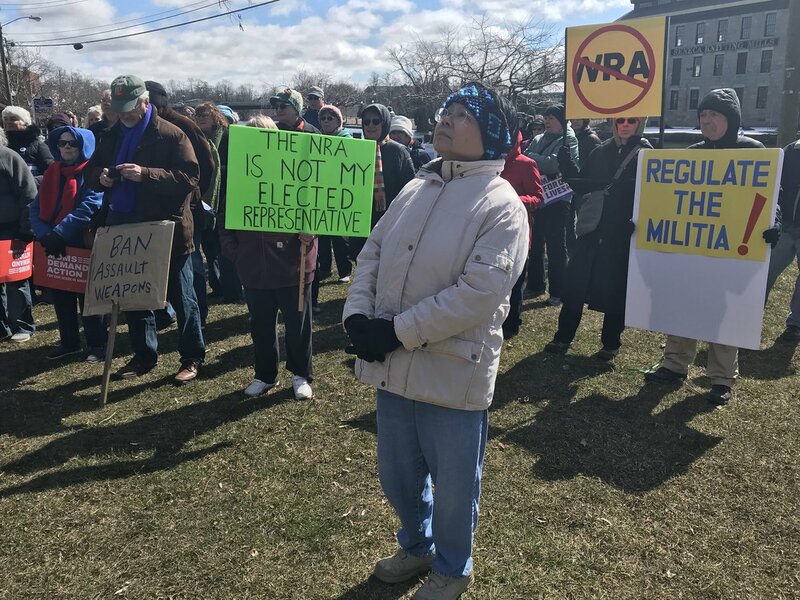 A diverse combination of students, teachers, parents, adults and others came out to support a ‘sensible’ evolution on gun control. Charles Whalen, a former candidate for New York’s 23rd District in the Democratic Primary talked about the emotional reality that families impacted by gun violence face. He talked about Ana Grace — who was among the killed at Sandy Hook Elementary School. He paid tribute to Kelly Fleming, who was 16 when her life was cut short in 1999 during what’s now simply remembered as ‘Columbine’. Then there was 14-year-old Cara Loughran, who was one of the 17 shot-and-killed in Parkland. 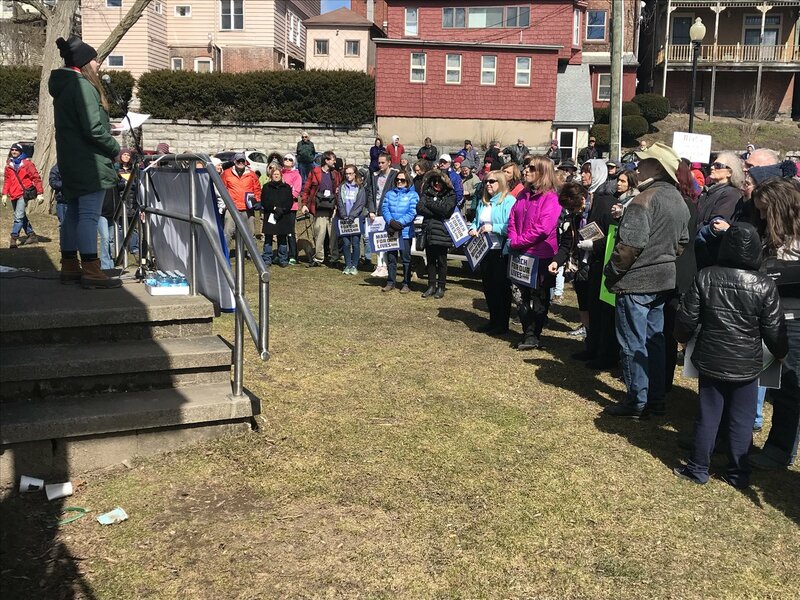 Lorraine Mahoney, a Seneca Falls resident who’s daughter also spoke at the rally said that those on both sides of the political aisle need to work together. “We can’t lose sight of the humanity on the other side,” she added. Perhaps though, the speaker and student who most-effectively captured the concerns of those in attendance was Mynderse Academy senior Jessica Dougherty. While speaking to the ‘constitutional rights’ that many pro-gun activists use in debate on the subject — she called on an even greater fundamental right: life. “No weapon is more important than anyone’s right to live,” Dougherty said drawing cheers from the crowd. While the debate around ‘gun control’ is one that has remained divisive — those in attendance wanted to see positive change now.